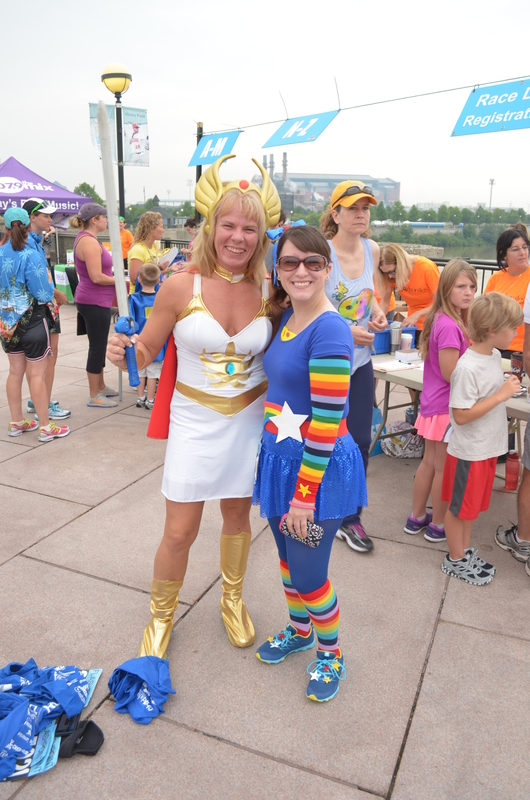 Last year, I took part in a Superhero 5K in Indianapolis and needed a costume to race in. This proved to be somewhat tricky in that I needed a costume that was easy to run in, mostly went with the superhero theme and was also unique. 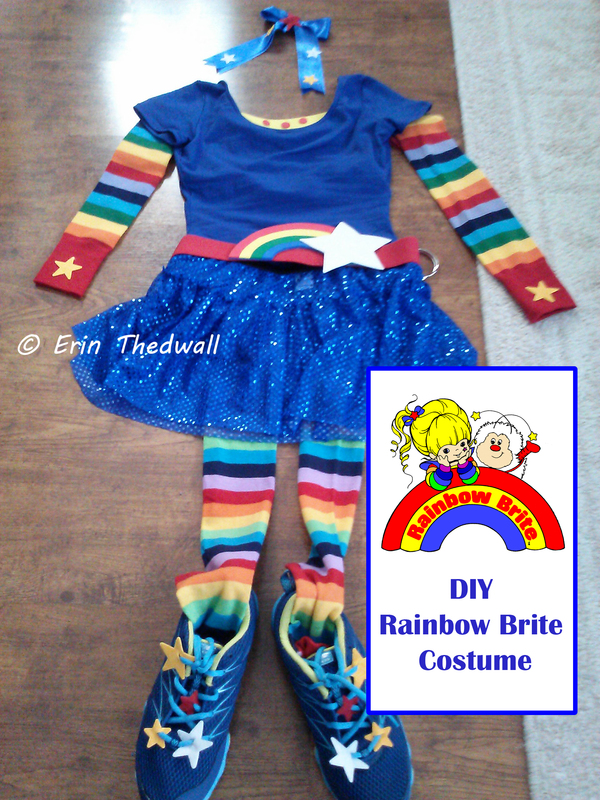 Eventually I settled on one of my favorite cartoon characters: Rainbow Brite. Once that choice was made it was on to designing the costume itself. I didn’t want to go crazy making it from scratch–instead, I wanted to start with pieces that I could buy and then modify. 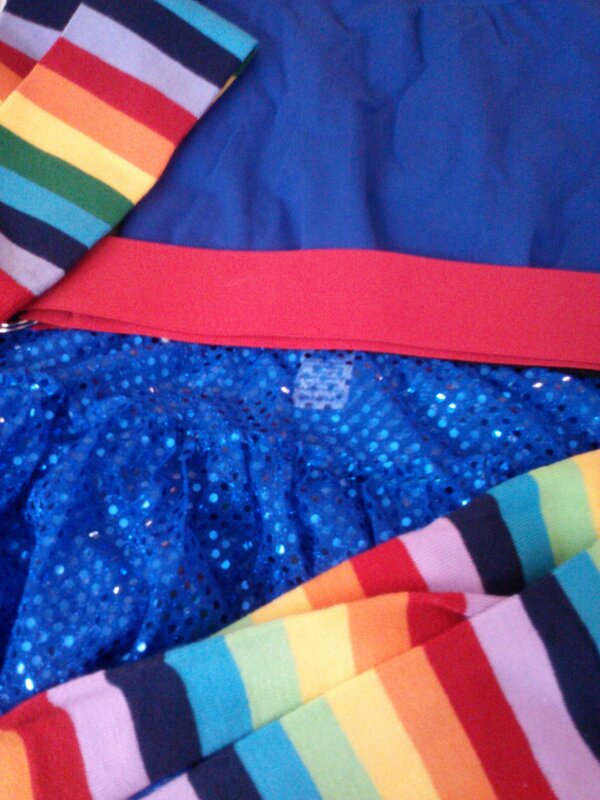 I quickly picked out a blue skirt from Sparkle Skirts, which is designed for running/athletic wear. For the top, a blue leotard. I liked that this would provide some coverage under the skirt without needed shorts, as well as being lightweight and designed for moving around. I was so excited when my boxes arrived! 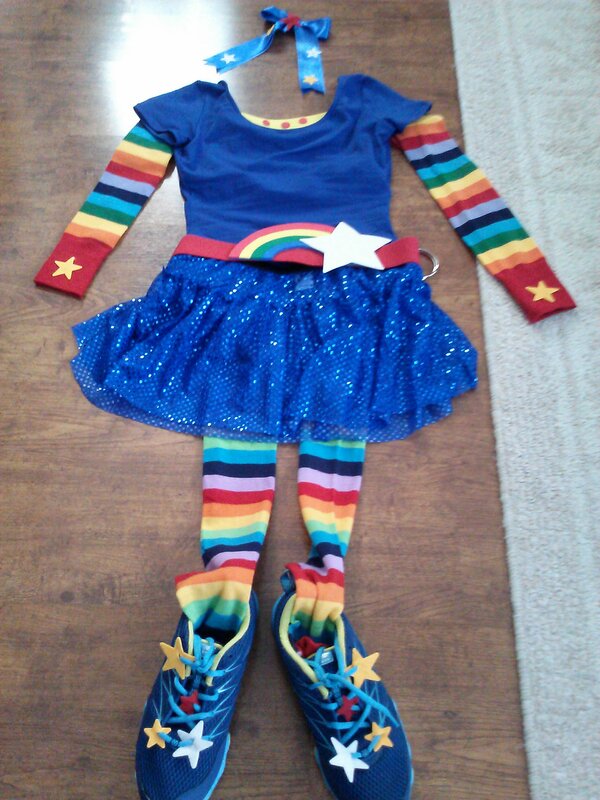 Then came time to actually modify the costume and really make it more like Rainbow Brite. For simplicity, I opted not to modify the skirt at all, although it would be easy to add a strip of white edging at the bottom. 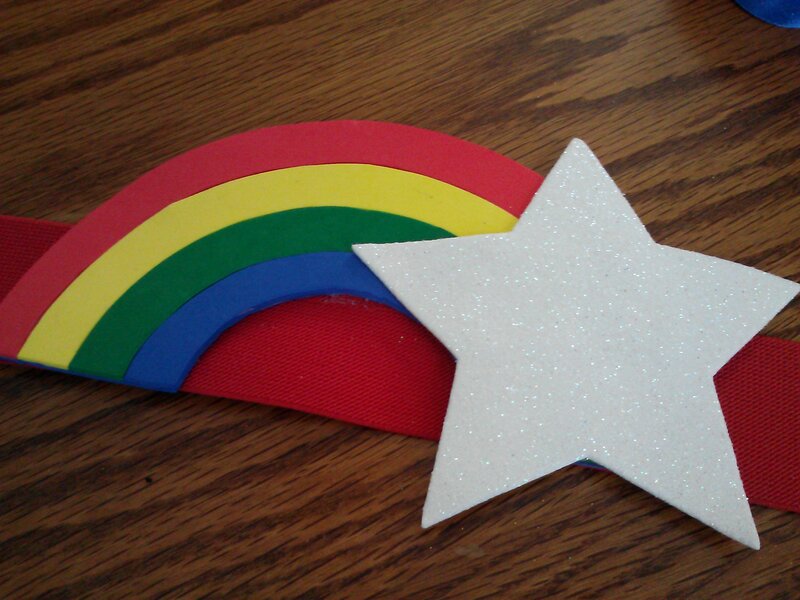 For the belt, I cut out rainbow arches from the different foam colors and hot glued those to the red belt with a pre-cut foam glitter star. I glued it onto what’s technically the back of the belt, and then wore the belt so that it actually closed across my back. I knew I was going to wear my hair in a ponytail for the race, but I wanted to also capture Rainbow’s fun ribbon in her hair. I tied a bow in blue ribbon and hot glued it to a hair clip so I could easily pop it into my hair the day of the race. 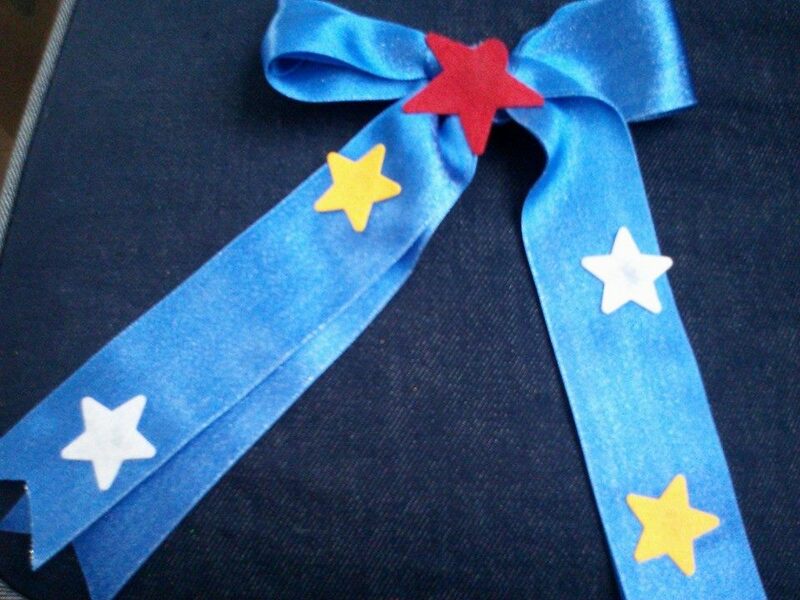 I glued some of the star stickers on the ribbon too. Although they have a sticky back, I didn’t want to risk them falling off while running, so I took the extra step of gluing them down. I already had a pair of blue running shoes at home, so I used those instead of tracking down sneakers with more red in them (to look more like her boots). 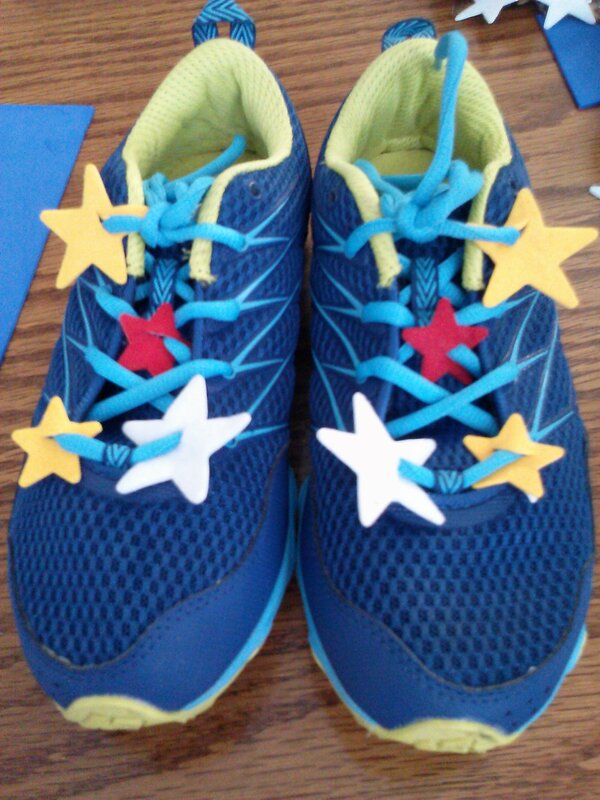 I took the same star stickers and cut small slits in them with scissors, and then laced them into my shoes. Lastly, I cut out a small strip of yellow foam and attached small red foam circles to it. I then hot glued the whole thing across the neck of the leotard. You can see this, and all of the pieces together, in the image below. 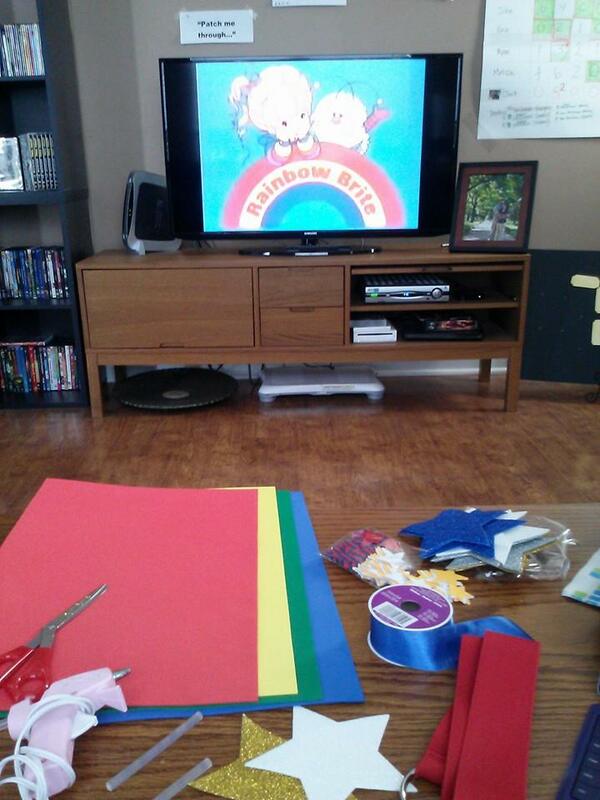 I also glued one star on each of the wrists of the arm bands. In all, it only took a couple of hours one afternoon to put the whole thing together. 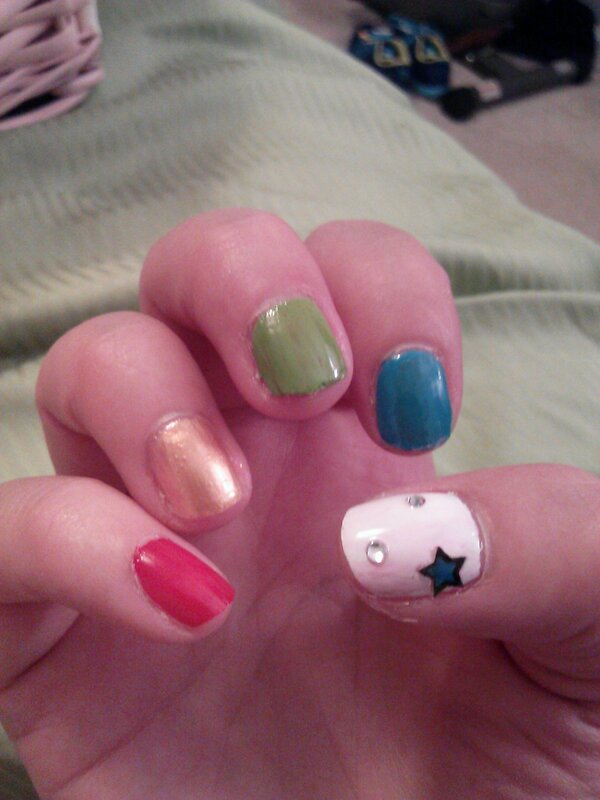 The night before the race, I also added a little Rainbow Brite flair to my nails. It was also chilly the day of the race, so I also added in some blue tights under the skirt. Behold: the finished product! 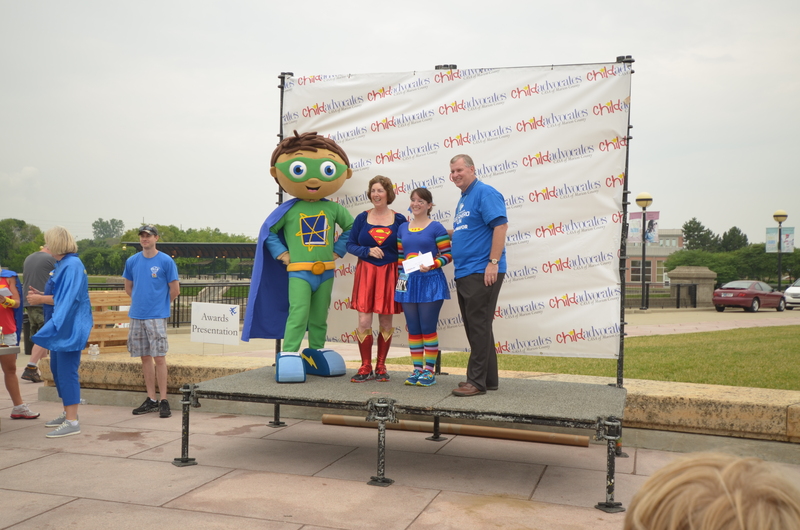 Plus… it was good enough to take first prize in the costume contest! Would you consider selling this? If so, please email me at jdvisali@yahoo.com.